Photographs taken by Gus Meier. Several of the photographs were taken in his studio in Alma, Kansas. 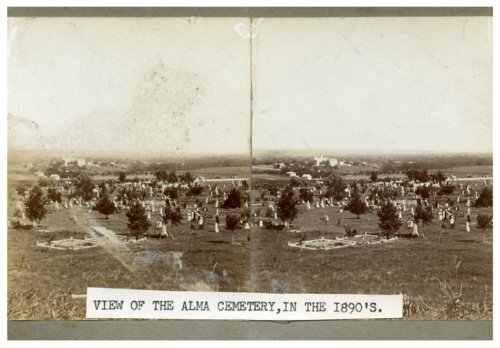 Gus Meier photograph collection - Stereoview looking east across the Alma cemetery.